Welcome to the Summer Dreams Giveaway & Blog Hop! I have teamed up with some of the best bloggers online to share these giveaways with our readers. Be sure to hop around to the participating blogs and enter some fabulous giveaways! Also, make sure to enter the Grand Prize Giveaway which features 3 winners and over $1000 retail value! Michigan Saving and More or any Summer Dreams Giveaway Hop Bloggers are not responsible for sponsors who do not fulfill their prize obligations. We have some light summer reading in our latest review / giveaway with three review copies up for grabs. Okay, maybe not so light. 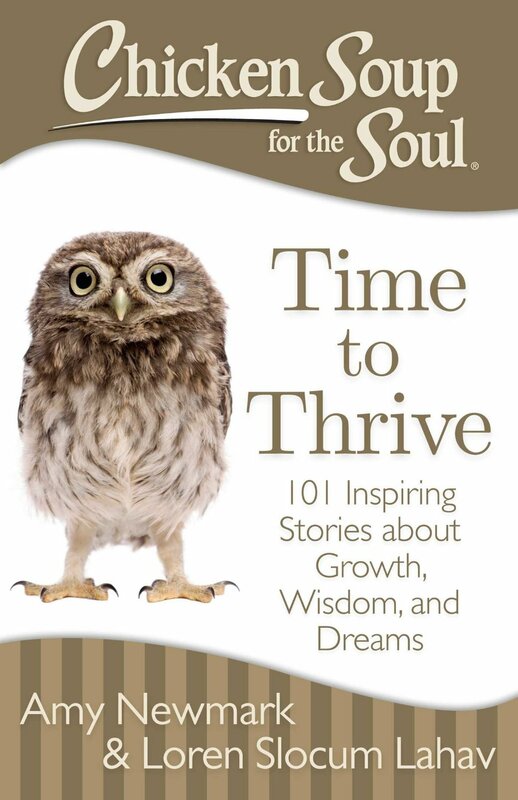 Chicken Soup for the Soul: Time to Thrive came out on May 5th and is co-authored by Life Coach to the Rockstars Loren Slocum Lahav. As the subtitle indicates, it includes 101 inspiring stories about growth, wisdom, and dreams. It is our hop on the Summer Dreams Giveaway and Blog Hop. Time to Thrive is a great upbeat Chicken Soup book that helps you take charge of your life and grow. After reading through many of the stories, it demonstrates how you need to set priorities, your priorities specifically. How you need to continue to grow and not get stuck in a rut. How if you want something to change, you have to change it. It won't change itself. The book reminded me of the time when I wrote full-time for a living. A good living. I'd always been a software developer, typically with a company, sometimes out on my own consulting. I was at the right place in my career when the Java platform was born, just twenty years ago now. I wrote a couple books on the subject. Every once in a while I'd pickup another writing gig, but it was always after hours. Finish the day job, then write. I decided to take a leap of faith and try writing full-time. Writing full-time on its own isn't complicated. You can write nowadays for $1 / 100 words of an article, and call yourself a writer. I had a goal though of no downturn in income. And that requirement made the leap a bit scary. I had a wife. We had a house. Well, rent at least, we didn't own at the time, but we were saving for one, which was why we couldn't afford to lose any income. I was able to live for two years strictly off my writing income, and it was a good income. But, it wasn't an easy couple of years. But, it was a dream to live off of my writing. Setting my own hours, at least around deadlines. That's what reading this book reminded me of. Dream. Grow. Take charge of your destiny. Maybe I should try to write a story for one of these Chicken Soup books. After reading so many of them, you get a feel for what comes across well. Whether it is the person stuck in a job for 10 years and just wants to get away to Montana or that person who enjoys going to concerts by themselves, instead of waiting for someone else to join them. There is a good range of stories where many will have situations very similar to yourself. It is amazing how they do that in these books. I do have to say I like this one, more to remind me to have my own dreams and goals. Sure, I have a family to take care of, but sometimes you just need a reminder to set up goals for yourself. I used to do that so regularly years ago and I stopped at some point. If for instance you're working somewhere for ten years, you don't want one year of experience repeated ten times. You want to grow and literally have ten years of experience. I find that all to often when I'm interviewing people at my job. Just because you've been working somewhere for a set number of years, doesn't give you the same number of years of real experience if you just keep doing the same thing. And, now onto the giveaway. We have three copies of the book up for grabs. Enter below for your chance to win. Open to US and Canada residents who are 18+ (void where prohibited). The giveaway runs to 11:59pm EDT on 7/31/15. I would love to read the Devotional stories for Wives. I think I would enjoy "The Dog did What" from their books. My goal is to continue increasing my step count each day. I would l have to say my growth goal is to be more adventurous. I must admit that I've read a "chicken soup for the soul" book, however after all the turmoil in my life I could absolutely use one. I love the Chicken Soup for the Soul books. My favorite is the Mother's Soul one. I like the Chicken Soup book, "The Dog Did What." Chicken Soup for the Teenage Soul was a good book when my kids were that age. They're grown now. Food and Love is my favourite book. My favorite Chicken Soup books are --- My Cat Did What and From Lemons to Lemonade. I bet the "dog did what" book would be a good one! I would like to read the Chicken Soup book, "The Dog Did What." A growth goal for me is to stay connected with people and meet new and interesting people that promote Growth from their lives and stories and knowledge, always learning is my growth goal.... I don't have a favorite Chicken Soup Book,,,, I think the ones that I have read are all great books!